Tad took an abnormally long nap today so I only had a few minutes to take a few snaps of this fringe on fringe look (without even stepping off my back porch!) 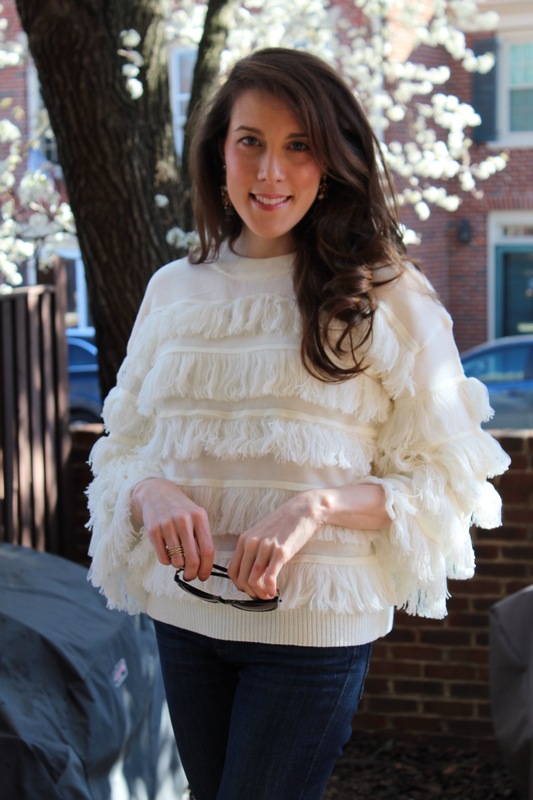 before heading out to our afternoon plans, but I am loving the fringe and tassel trend this spring. 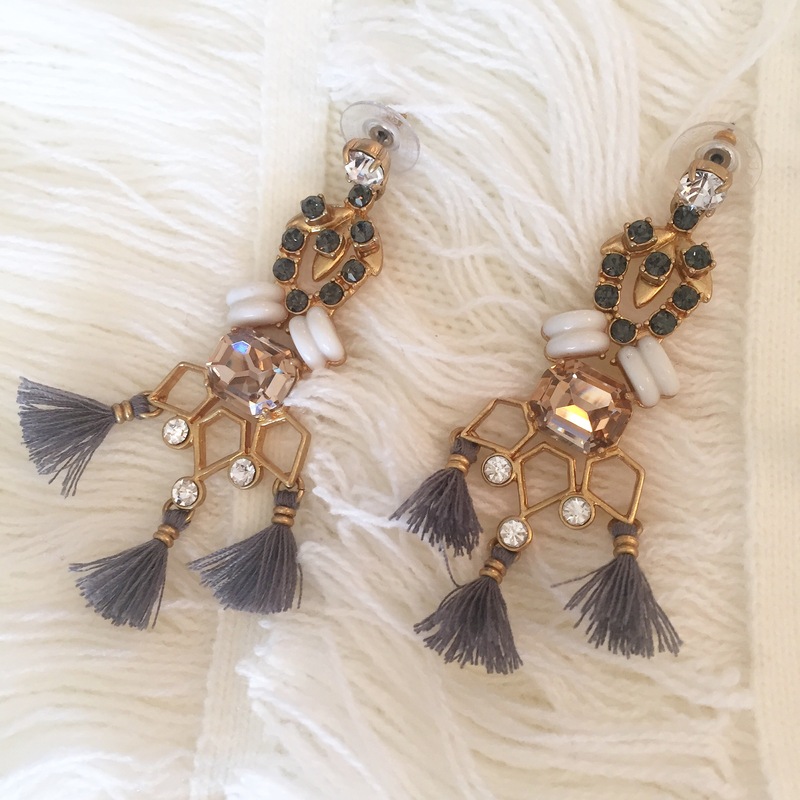 These chandeliers are my absolute favorite new earrings because they combine three fringe tassels with gems and accents in tones of blush, grey, and cream. This means they go with just about everything in my wardrobe! As excited as I was about sharing this look with you all, the more exciting news is that Tad decided that he wanted to be a walker today. He’s been taking steps here and there for weeks now, but has preferred to crawl for the most part. Today he saw some of his friends running around and wanted to be just like them. Thank goodness we are at the age when peer pressure can be a good thing! How are you embracing the tassel/fringe trend this spring? …and for the new mommas…how are you encouraging your kiddos walk on their own?